One of my blogging goals for 2015 was to incorporate more beauty and health posts because they're topics I personally love exploring and learning more about. I've shared before that I struggle with acne (mostly hormonal at this point in my life) and my skin in general (both dryness and an oily t-zone), so I'm always exploring different products and options. 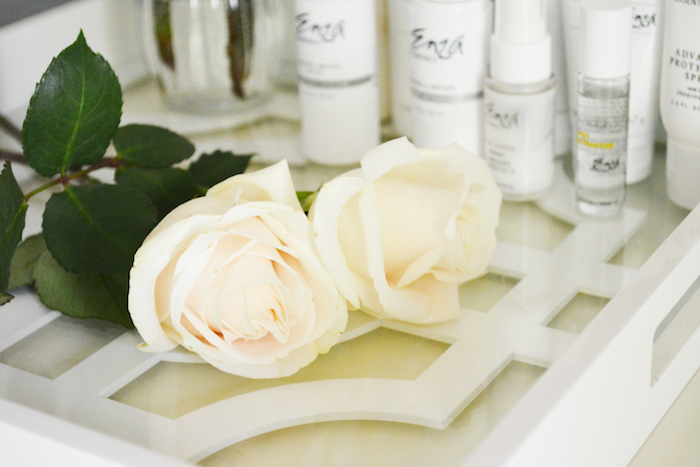 When Enza Essentials reached out to me about trying their products, I was so excited to get a customized skincare regimen and try products I had read so many good things about. 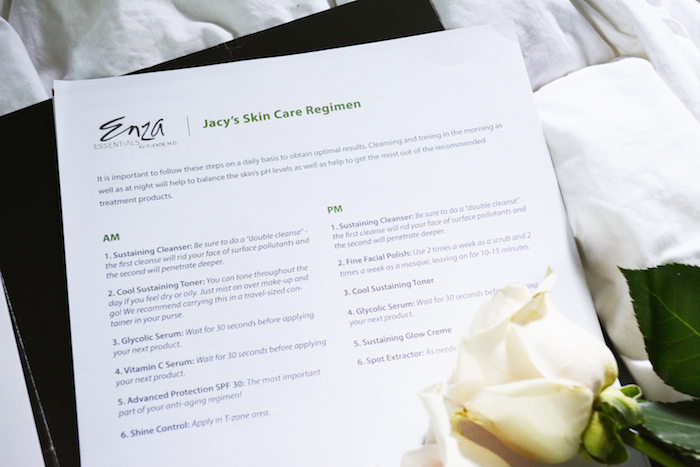 To expand on what I mentioned above... Enza puts together a customized skincare regimen based on your skin's needs (or you can buy individual products), which I thought was just amazing! You simply answer some questions, and voila - you have a lineup of products and a schedule designed specifically for you. I also have to point out that their customer service is incredible. They sent my products promptly, and then followed up with me after a few weeks to see how everything was going. 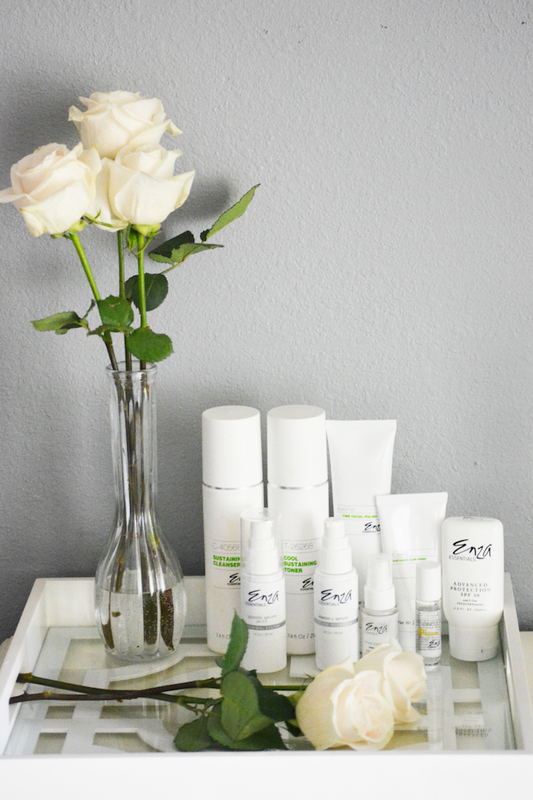 I have now been using my Enza regimen exclusively for over 3 months, so that I could give you insight into each product and the regimen's results. Sustaining Cleanser: This is a really gentle gel cleanser that replenishes moisture that is perfect for a light wash in the morning, as well as getting off makeup in the PM. Fine Facial Polish: This is an exfoliator than can also serve as a masque. My instructions were to use it each way two nights per week, so I use it about every other night. Cool Sustaining Toner: This is one of my favorite products! It's a gentle cooling toner that tones down redness and puffiness. Since I tend to get a bit splotchy and pink on my cheeks, this works really well for me to prep my skin for makeup, or just even out my skin tone at night and on non-makeup days. It's designed for normal to dry skin, so I'm able to use it both day and night without it drying out my skin like many toners do. Glycolic Serum: Easily my other favorite product! Glycolic acid serves as a gentle exfoliator and this product has smoothed out my skin SO much and given me a much-improved glow. It's amazing! Vitamin C Serum: This is a lightweight oil-free gel that I use as my AM moisturizer. For how lightweight it is and how little you have to use, it is incredibly moisturizing and perfect for wearing under makeup. Sustaining Glow Creme: This is a moisturizing cream that I use at night in my regimen and I've found it to be very moisturizing. I haven't gotten any dry patches on my cheeks or under my eyes these last 3 months, which is pretty amazing. 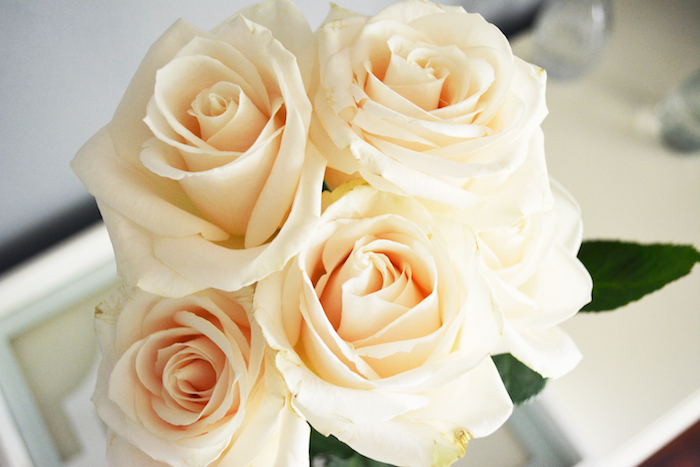 A little goes a long way (I always love that) and it definitely brightens and plumps up the skin. Spot Extractor: This is an acne treatment roll-on that is applied at the end of my PM regimen before bed. It has salicylic acid and witch hazel to cleanse the skin and reduce inflammation. Unfortunately, I haven't really noticed a difference in my blemishes when using this, so I've recently switched back to my prescription topical gel to treat specific blemishes. Advanced Protection SPF 30: This is a lightweight SPF product that's safe to wear on your face (many break out my skin), and I was advised to apply this every morning. Unfortunately, I found it was still a little heavy for me to wear under makeup on a daily basis, but I will definitely use it a lot this summer on days when I'll be out in the sun more. Shine Control: This is a mattifying product that I apply to my t-zone at the end of my AM routine every day before putting on my makeup. Its ingredients help absorb excess oil and also diffuse light. So, as you can see, I've tried out a lot of products. It is much more detailed and time-consuming than I was used to, but I have seen a big pay-off. Last winter I continually got rough, flaky dry spots under my eyes and on my cheeks. This year I never had any dryness, even in the middle of a very cold winter! I think this is the combination of a gentle cleanser and toner, the glycolic serum that continually smoothed my skin, and two great moisturizing products with quality, wholesome ingredients. This regimen has also made my skin glow on a whole new level. With both dryness and acne I found that part of my face would be very dull, while the other part would be oily and bumpy...not a great combination. 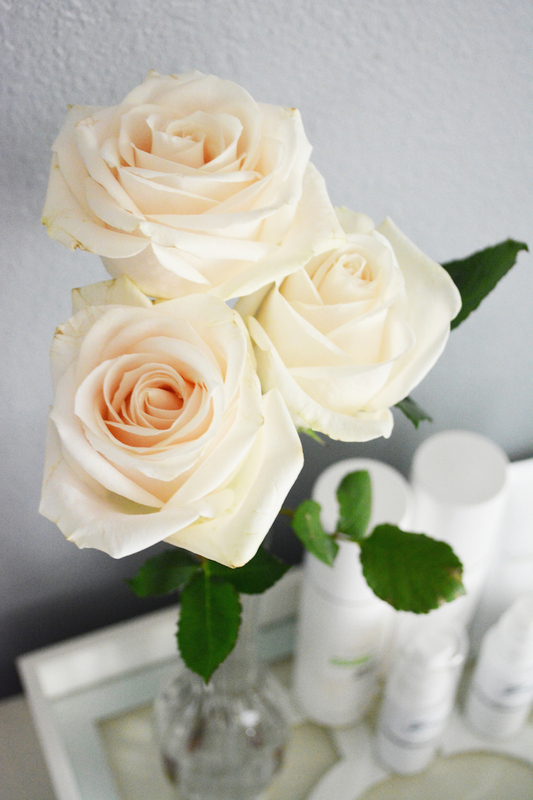 This skincare routine has truly evened out my skin tone and consistency so much and given me a wonderful natural glow. The one area I haven't see improvement is with my acne, however I am not using their acne line. After the initial purging/adjustment phase when starting these new products, my acne pretty much returned to it's previous state. My acne is predominantly hormonal though, so I find that some weeks my skin isn't too bad, and other weeks I'm freaking out because I'm so broken out. So far I haven't found any skincare that truly helps my acne all month long and I know that that probably has mostly to do with the type of acne I have, which is fortunately not severe anymore and is mostly just tiny bumps under the skin. 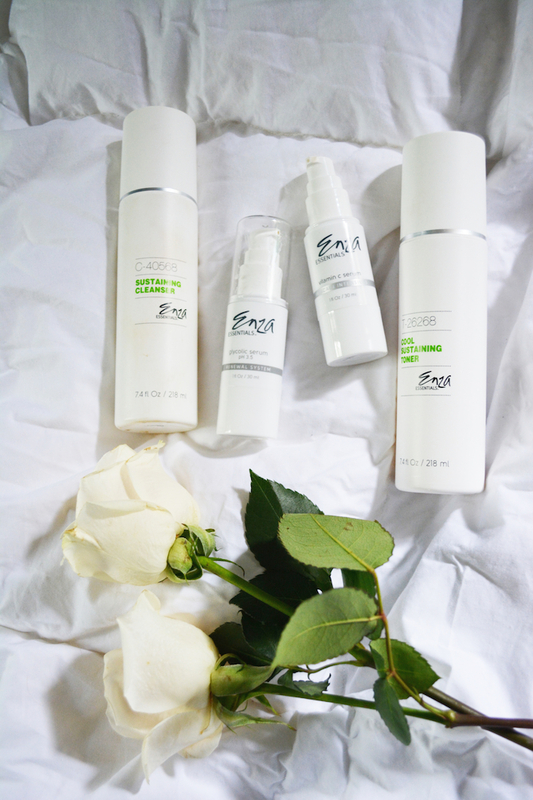 All products were provided by Enza for the purpose of a review post. As always, all opinions shared are my own, and I will always be 100% honest with you. 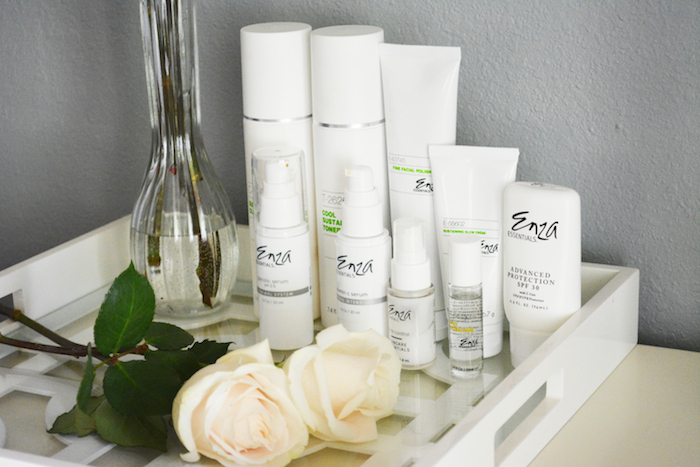 Thank you so much to Enza for giving me these truly amazing, high-quality products!